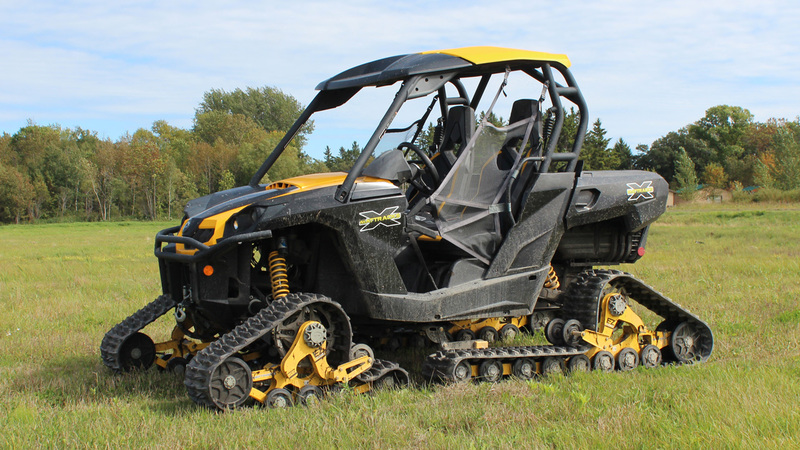 Designed for UTVs, it nearly doubles the tracks area over other track systems. 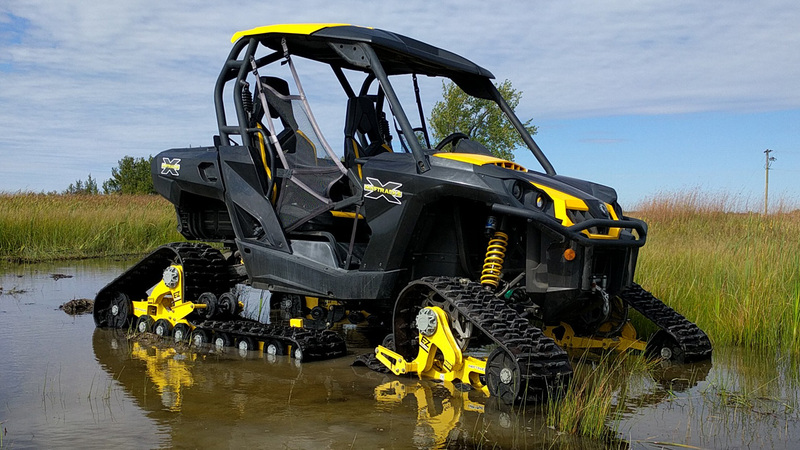 The patented Maxim, whose branding undoubtedly refers to the maximum amount of track, allows more track on the terrain by using its unique switch back system. This enables the rear tracks to extend forward, under the vehicle, to nearly the rear of the front tracks, thereby taking weight off the front end. 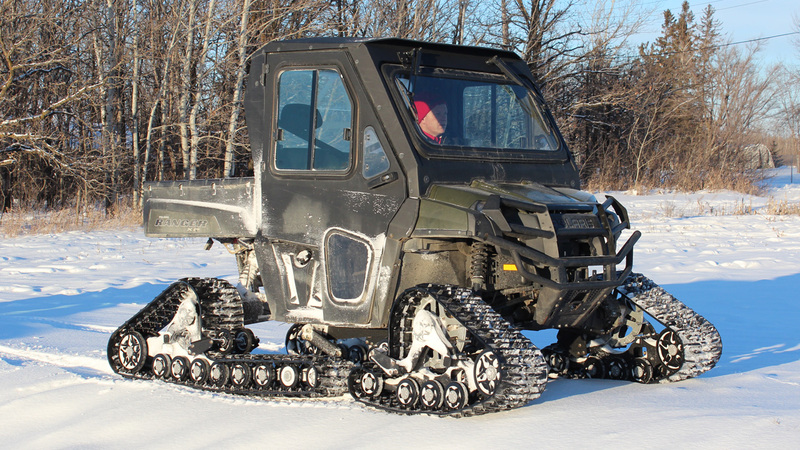 The entire machine now is able to operate much as a snowmobile, gliding over the snow instead of through it.